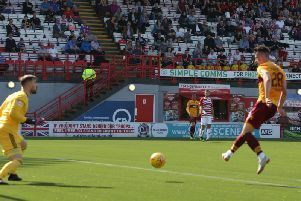 A scintillating first half hour saw Motherwell score three goals to secure a convincing home win over the Lions. Goals from Jake Hastie (2) and Curtis Main did the damage as Motherwell keep alive their hopes of a top six finish. Can Danny Johnson and his Motherwell mates get a win against Livingston today?